I haven’t done a “tool of the week” post in a long time. Here’s on of my most recent favorites products I’d like to share with you – especially if you have a table saw! I bought a Delta Unisaw and it didn’t have any safety features around the blade. I’ve learned the importance of having a riving knife or splitter behind the blade to keep your material from pinching the blade and shooting back at you. 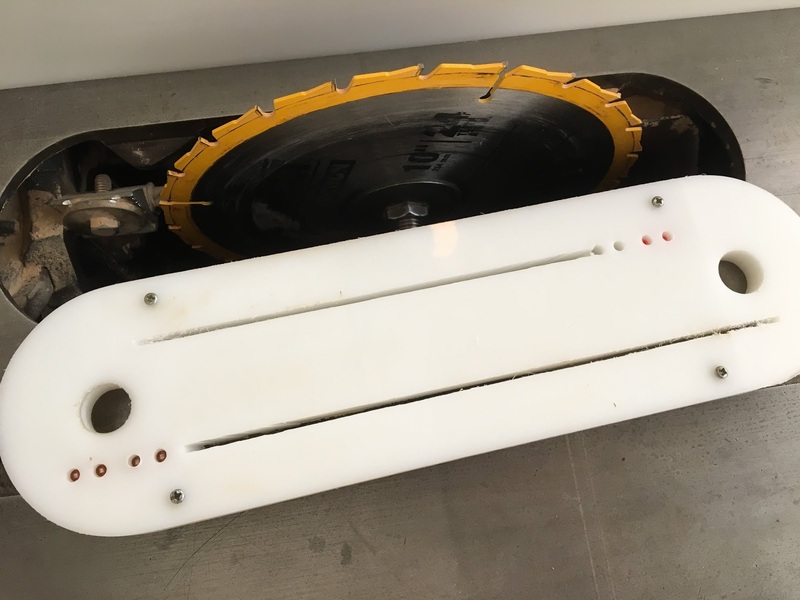 When I took my woodshop class in college the saw had these small plastic inserts that set into holes in the throatplate behind the blade. It was simple to remove the ‘tabs’ when you weren’t making through cuts and put right back in. 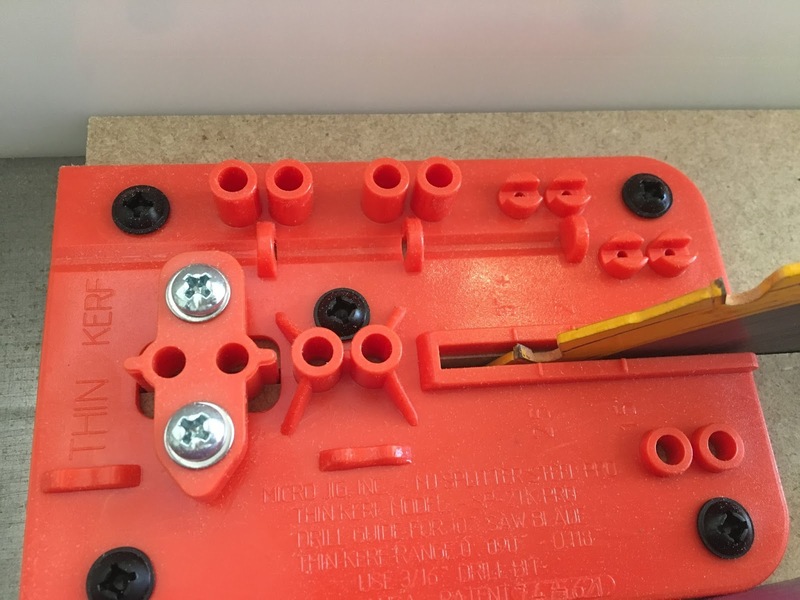 It took me a while to purchase the MJ Splitter product because it’s $39 for small plastic pieces – however I’m happy I did because I feel safer using my table saw now. I should mention for people like me who only buy 4.5 star products or higher that the overall 4-star review left me apprehensive to buy, but after reading the reviews I realized the low-reviews are from people who didn’t follow instructions correctly and were frustrated that the product “didn’t work”. I can read instructions and I’m going to show you a few pictures of just how EASY this product is to set up and install. 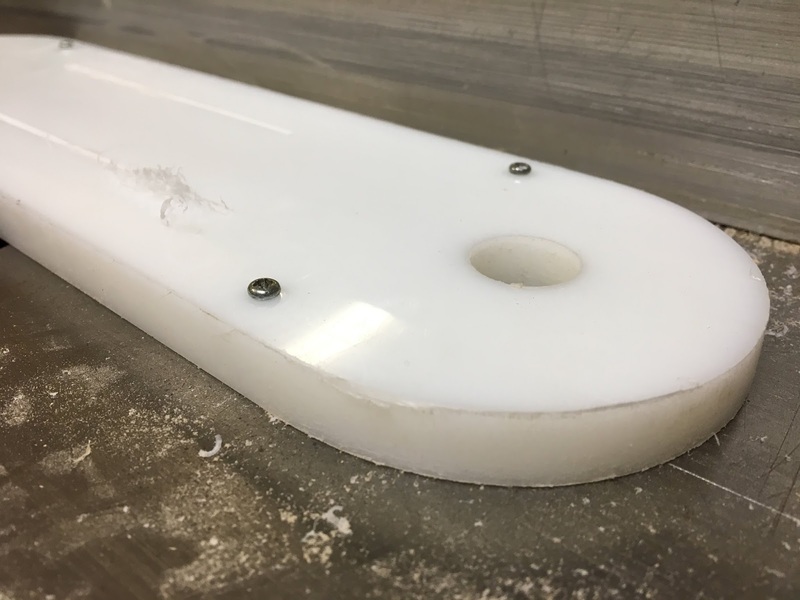 For this product you will need a Zero Clearance Insert (ZCI) for your blade. What’s a ZCI? 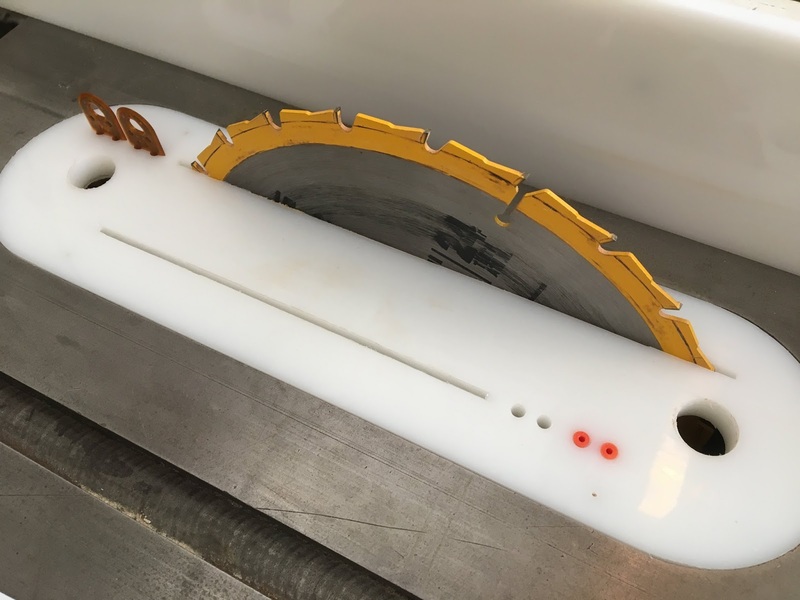 It’s a plate that has a slot for the thickness of your blade and nothing else (much safer to not have dead space around your blade for wood to get caught into – this translates to higher accuracy with your cuts). 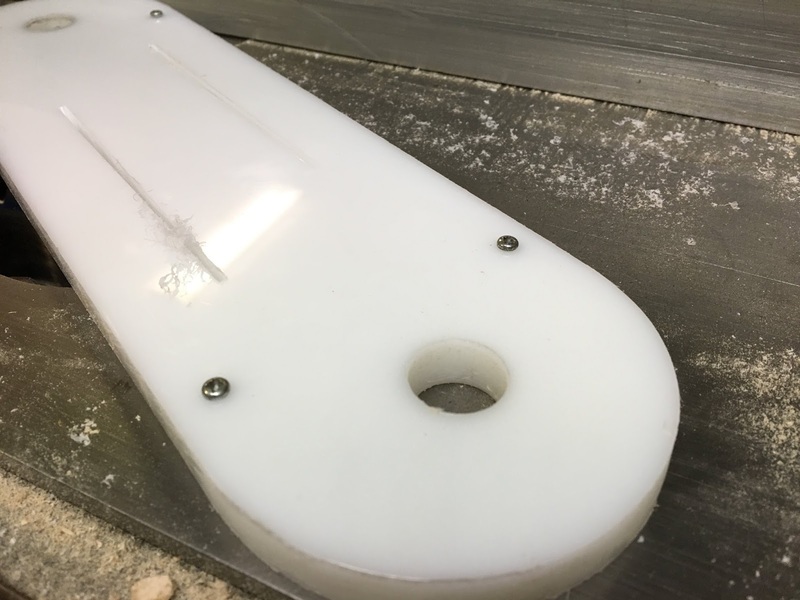 Rather than spend $30 on a fabricated ZCI, I bought a 1/2″-thick sheet of UHMW for $19 where I could make 3 of my own. My original metal plate fit snuggly into the table so I used it as a template to trace around my plastic sheet and cut it to the right width. I used my bandsaw to shape the curved ends, leaving them slightly bigger so I could use my belt sander to sand to the final size by fitting, sanding, fitting, sanding, etc until it rested in the table snug. 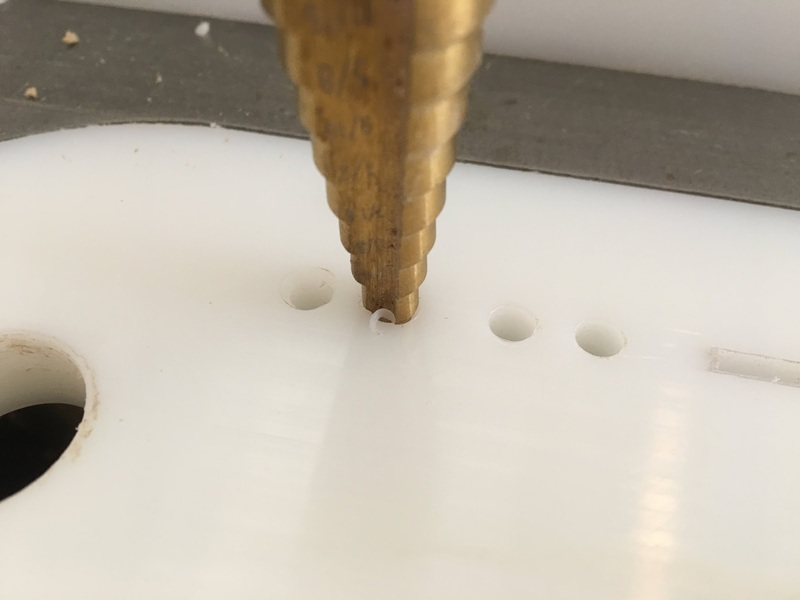 I centered holes in each end with a forstner bit for my finger to grab and remove the plate. I needed some extra height for the insert to sit flush with my table – small screws on the underside work perfectly! I’m using both sides of my plate for different splitter options. Side note: I used the same plastic product (but 1/4″ thick) to screw onto my fence – makes it so smooth! I used 1/2″ MDF for making my setup board. 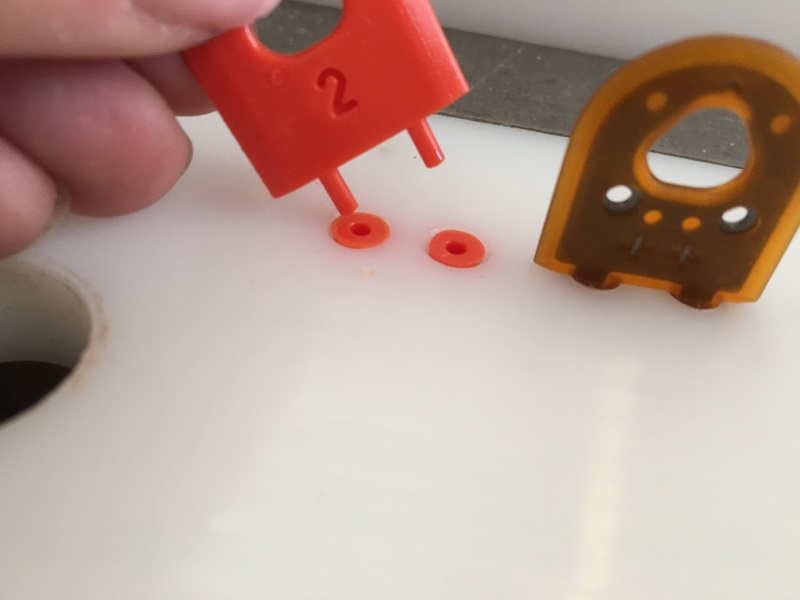 One you get through the instructions to actually screwing the drill guide onto your board, use a self-centering bit to streamline the process and get the holes dead-center. For the first slot on my ZCI, you can see my blade is set to 3″ for taller cuts. 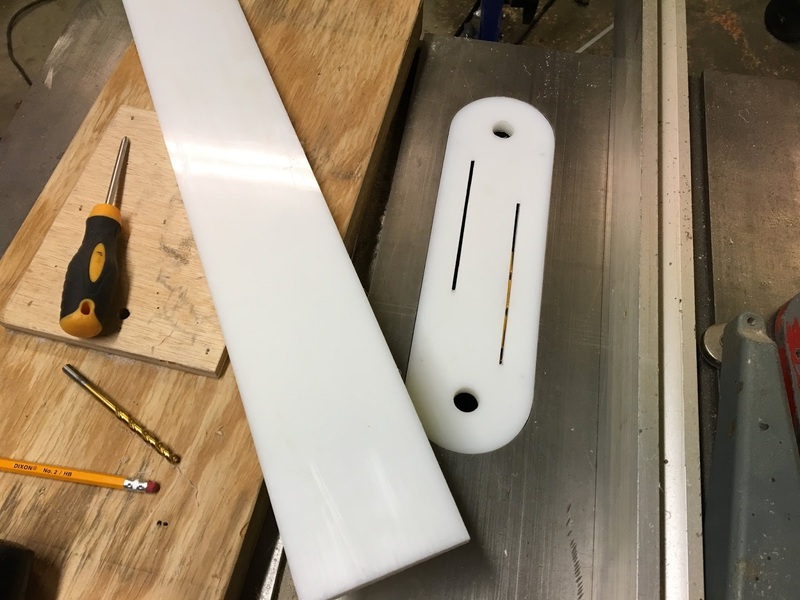 The second slot I did 1-1/2″ for my blade height for when I cut 4/4 raw wood (will use kerf keeper + splitter for this slot). 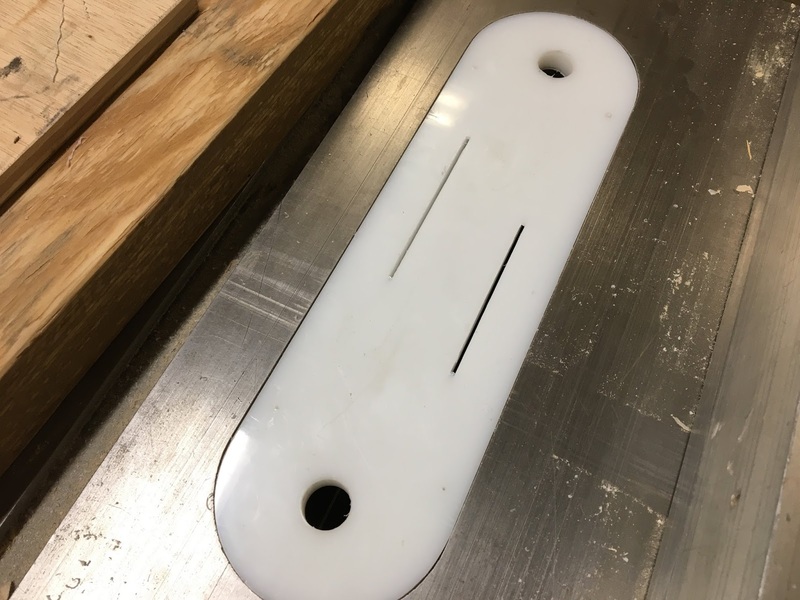 For the kerf keeper, the instructions say to make a 1/32″ chamfer around the top edge of the hole so the adapting sleeve can sit flush. I used a step drill bit, turning in my hand, to gently remove the corner – cuts like butter! The adapting sleeves set in easily with a mallet. 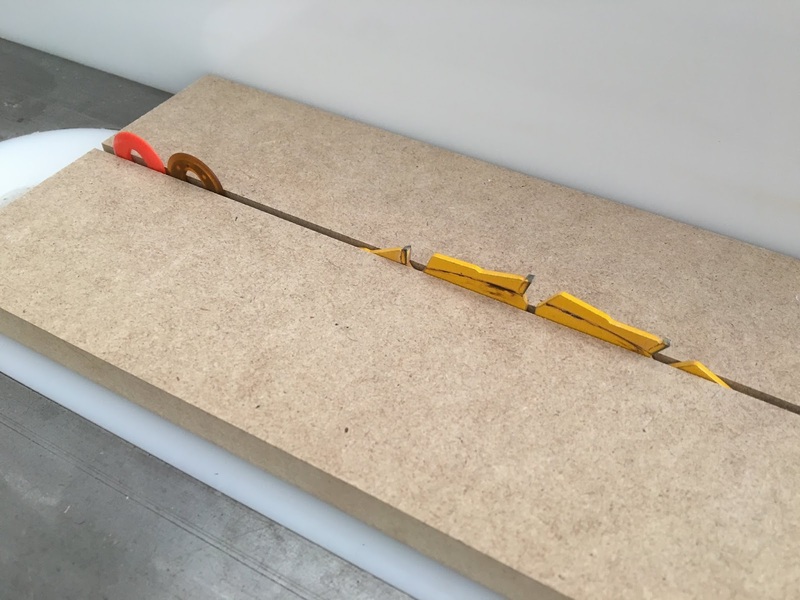 The kerf keeper is meant to come out if it gets pinched too tightly with your wood (usually raw wood that has stress) and acts as a warning for you to either stop the cut or cut with caution. 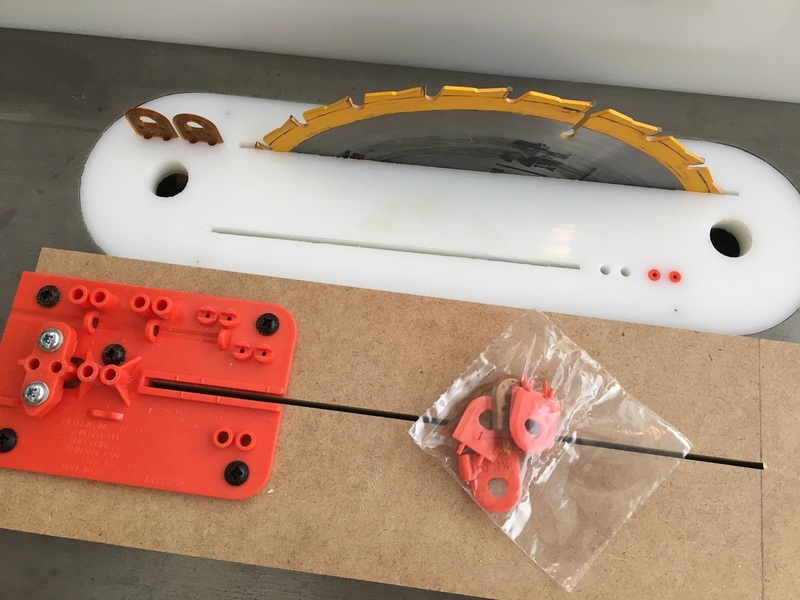 Cutting through my test board shows me that the blade groove matches up with my splitters – wahoo! Each splitter and kerf keeper has different offsets which allows you to tailor the pressure on each side of your board, creating a featherboard effect that keeps your wood up against the fence. 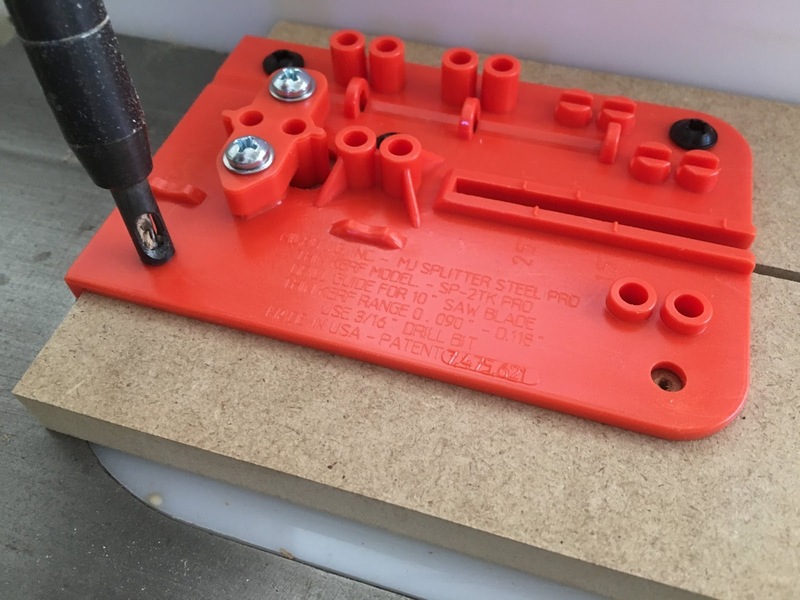 Store your jig & set-up board away as-is so the next time you want to customize a plate for your table saw you’ll be ready to go (the included drill bit stores into a slot on the jig). Work safely guys & gals! Night Stands with 3 Drawers!